Feb. 4, 2013 - PRLog -- The summer of their senior year of high school, three friends set out on a cross-country bicycle trip. While they plan their trip, a new strain of what is thought to be a flu virus is identified in Mumbai, India. At the halfway point the awful truth is known – this is no ordinary flu virus. This virus turns its victims into flesh-eating zombies. And it’s arrived in America. 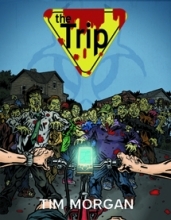 This is the world of debut author Tim Morgan’s young adult zombie novel, THE TRIP. Part coming-of-age story, part epic nightmare, novel follows three teens through their senior year and the following summer, how their careful plans go awry and the ensuing fight for survival.